Strawberries useful for the brain and heart, some of the planet’s most popular, refreshing and healthy treats. But besides, they are extremely useful for health. Today there are over 600 strawberry varieties. Sweet, slightly tart fruit ranks among the top 10 fruits and vegetables as antioxidants. The high intake of fruits and vegetables in our daily menu is associated with healthy skin and hair, increased energy and a lower weight. Increasing consumption of fruit and vegetables significantly reduces the risk of obesity and overall mortality. A Harvard study found that regular consumption of anthocyanins, a class of flavonoids found in fruits, can reduce the risk of heart attack by 32% in middle-aged people. The high content of polyphenol in strawberries can also reduce the risk of cardiovascular disease. Other studies have shown that eating strawberries helps lower levels of homocysteine, an amino acid in the blood associated with damage to the inner lining of the arteries. Fibers and potassium in strawberries support the health of the heart. Anti-oxidants quercetin, camphferol and anthocyanins have been shown to reduce the formation of harmful blood clots that are responsible for heart attacks. High potassium intake is associated with reduced risk of stroke. As mentioned above, strawberries contain powerful antioxidants that fight free radicals, they can suppress growth in the presence of tumor education, and reduce the level of inflammation in the body. Due to its high potassium content, strawberries are recommended for people with high blood pressure to eliminate the negative effects of sodium accumulation in the body. Low potassium intake is just as great a risk factor for high blood pressure as high sodium intake. 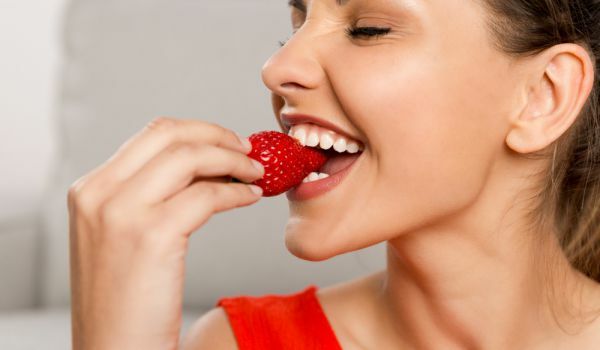 Because of the anti-inflammatory effects of quercetin, eating strawberries can help alleviate the symptoms of allergies, including runny nose, watery eyes and hives. However, to date, insufficient research has been done to prove this theory. Several studies have shown that the incidence of asthma is lower at high intake of certain nutrients, such as vitamin C being at the top of the list. 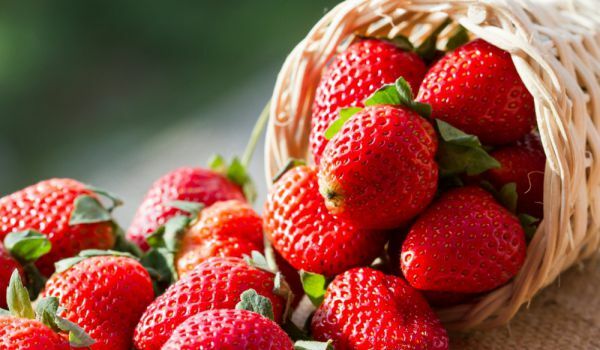 Strawberries are an excellent choice for people with diabetes. 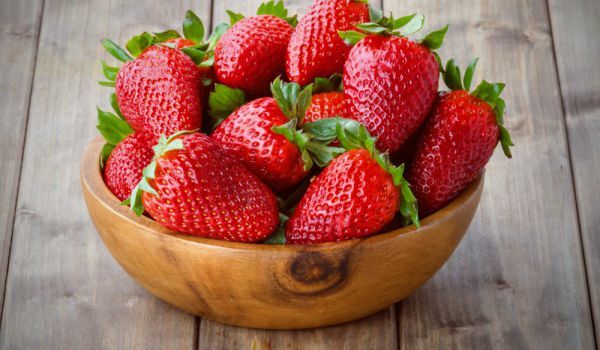 Strawberries have a low glycemic index and a high fiber content, which helps to regulate blood sugar and keep it stable, avoiding extreme high and low levels. Strawberries are a good choice for diabetics, as they have a lower glycemic index (40) than many other fruits. Researchers found in 2011 that eating about 37 strawberries a day can significantly reduce the complications of diabetes such as kidney disease and neuropathy.